SpiritAlive eNews is power packed! Thought provoking and creative, this resource will add punch to your days and inspiration to your life. Full of insight and practical steps to keep you expanding and focused, it's a great tool for anyone who wants to live fully alive. To become a free member, simply give us your email address. Know your address will not be shared, forwarded or used for any other purposes. SpiritAlive eNEWS will arrive in your email box monthly. 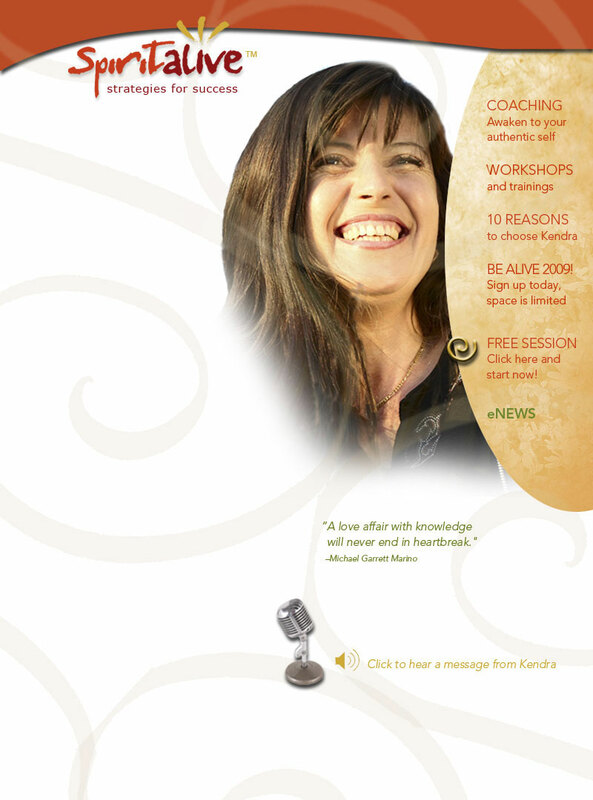 Be sure to identify kendra@spiritalive.net as non-spam. Welcome!